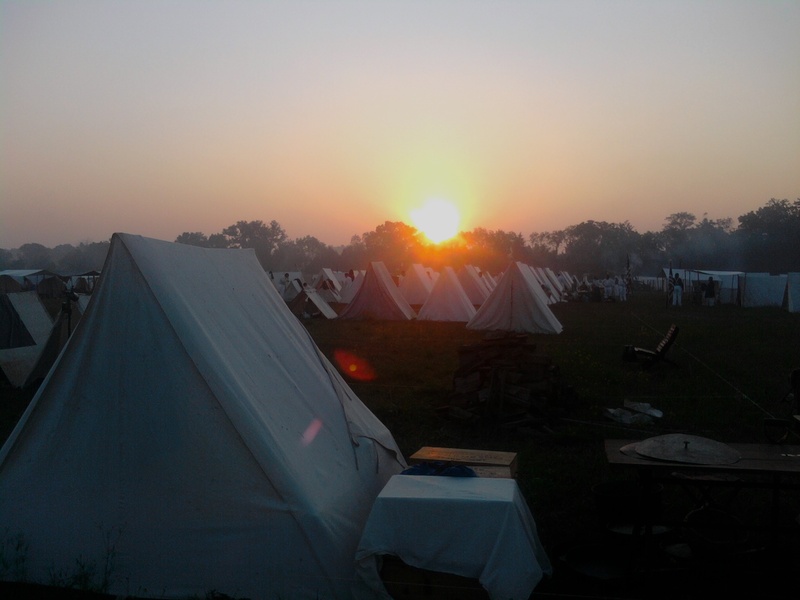 This entry was posted on Thursday, July 28th, 2011 at 7:53 am	and tagged with 150th Manassas reenactment, 5th Massachusetts Infantry, American Civil War, Civil War reenacting, Civil War Sesquicentennial, First Battle of Bull Run, First Battle of Manassas, History, U.S. History and posted in American Civil War. You can follow any responses to this entry through the RSS 2.0 feed. Dale and I were in NH last weekend and it was hot there but not nearly as hot as we know you guys were. We kept thinking about you and hoping you were safe despite the uncomfortable temps. I’m glad you had such a good experience. The 11th Mass fought in the same brigade as the 5th Mass, mentioned above. They battled bravely against the Confederates trying to take Rickett’s Battery and retook the battery twice, I believe, before being pushed back from Henry Hill. Your cousin’s service is definitely something to be proud of. Nice article. Wish I had known you were at Manassas, I would have loved to meet you. I was there also. We came from North Carolina to portray part of Rickett’s and Griffin’s Batteries. I have full transcriptions of the engravings on the Amherst gun now. I will post them later on the appropriate blog. Incredible. We passed right by Rickett’s Battery on both days. I was probably within a stone’s throw. Looking forward to seeing the transcriptions. I too, was at Manassas with the 69th New York Infantry . We also skedadalled. Spectators did seem inordinately appreciative! Several weeks later I was at Wilson’s Creek. Not as hot!!!! I quite enjoy the early war events and there does seem to be an air of enthusiam for the Sesquicentennial. Huzzah for the 69th. And good for you for making it to both Bull Run and Wilson’s Creek. Quite an accomplishment given the distances.